"TAMPER EVIDENT" sealing solutions for your package. Only 3 to 4 seconds are required and your bottle is protected. 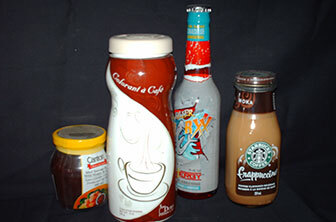 Individually Cut Shrink bands are the ideal solution to provide tamper evidence to your bottles and caps. Pre cut shrink bands are manually applied and perfect for small to medium production runs. 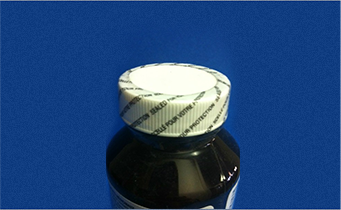 ServiPak can produce "cut" shrink bands to the exact layflat and cut length to ensure a "perfect" fit over your bottle. (See image B below). The shrink bands can be supplied either clear or printed . Perforations for easy tear removal are also an available option. 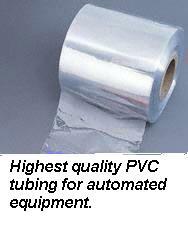 AUTOMATION: Automated banding using PVC heat shrinkable roll tubing. ServiPak carries only the highest quality materials. Why purchase ServiPak heat shrinkable tamper seals? Tamper seals are what separates you from thousands or even millions of dollars in product liability lawsuits. Tamper seals are designed to prevent consumers from opening your product, and ultimately tarnishing it for the next person taking the same product off the shelf. At ServiPak, we do not cut corners to supply you with sub standard materials or incorrectly fit seals. 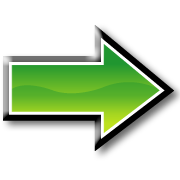 Either of these short cuts can inevitably cost you hundreds of times more down the road. .... MORE ! PRE CUT shrink bands are MANUALLY applied. NOT SURE WHAT SIZE IS REQUIRED ? ?